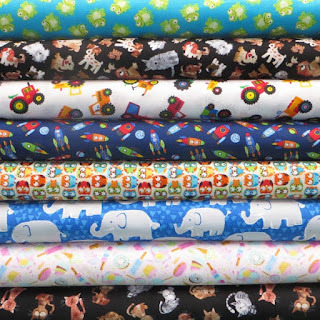 Perfect for I-Spy quilts and various children's projects, our range of Timeless Treasures novelties has just been replenished with the addition of 9 new prints, including frogs, tractors, rockets, sweets and more! We have also re-stocked the novelty stash packs, eight different prints great for small, fun projects. Dutchess fabrics, new tools & Sewline Glue pens!